Ducks have to make a living too! 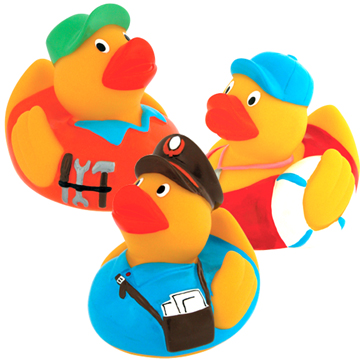 These blue collar ducks make great gifts. Measures 3 1/4" tall. Styles subject to availability and are chosen at random. Price per duckie.